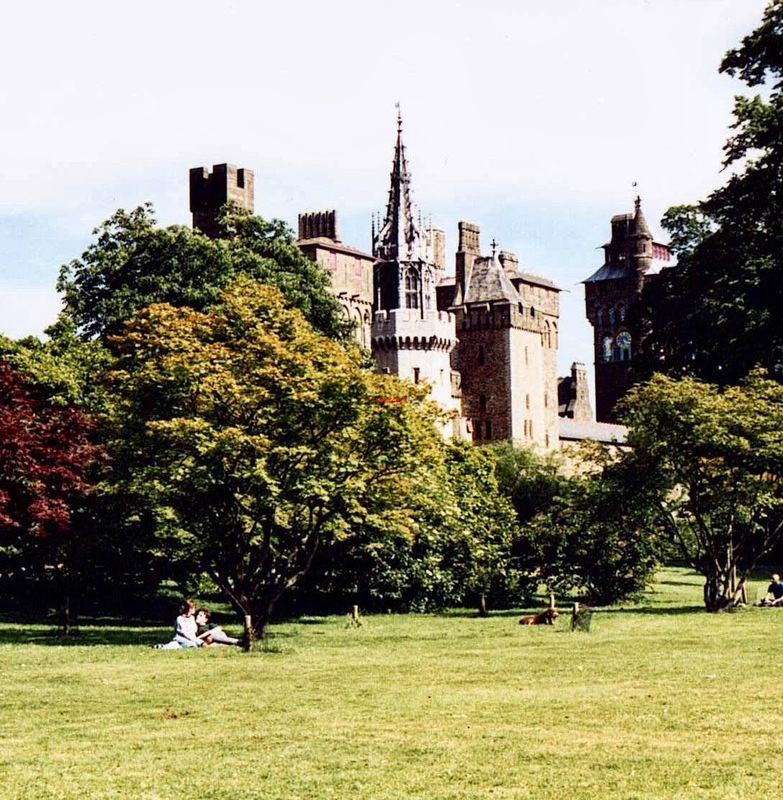 The history of Cardiff Castle goes back to the eleventh century. It was built on the site of a derelict Roman fort and many non-Welsh people settled there. This brought about many attacks from the surrounding villages of the native Welsh. 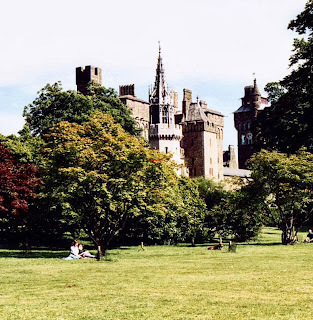 In 1158, Lord Ifor ap Meurig, of Sengenydd (near Caerphilly), the Norman Lord of Glamorgan, together with his Countess, lived in Cardiff Castle and was kidnapped from the castle and held for ransom, for certain 'wrongs' he had inflicted on the natives. Jumping forward several centuries to 1865, the castle underwent an amazing transformation by an architect named William Burges. He was doing the work for the third Marquess of Bute who was a rich historian, mystic, archaeologist - well you get the idea. Burges's work can still marvelled at to this day at the castle and the style can also be seen in many buildings in Cardiff and indeed throughout the U.K.
Cardiff Castle looks like a fairy-tale creation, that could well grace the pages of the book, Sleeping Beauty. There are guided tours around the castle, and it is full of medieval and ornate decoration, that includes: the 'Chaucer Room', based on Chaucer's works; the richly decorated Arab room; the Summer Smoking Rooms decorated with emblems of the universe, to name but a few. Peacocks inhabit the grounds and screech-like calls can be frequently heard. It is obvious that money was no object to the Marquis of Bute. Cardiff Castle is a magnificent place to visit.